Beautiful 1800 square foot single-story home. Three Bedrooms plus Den, two full Bathrooms with attached two-car garage. Refrigerated air, freshly painted. Ceramic-tiled Island Kitchen with side-by-side refrigerator, quiet Bosch dishwasher, electric stove and new built-in microwave. Large walk-in closets, ceiling fans in all of the bedrooms and living room. There is an oval soaking tub in Master Bathroom and Laundry. Vaulted ceilings for your enjoyment and two living spaces. Beautifully paved backyard for your summer bbq's. Low maintenance front yard. 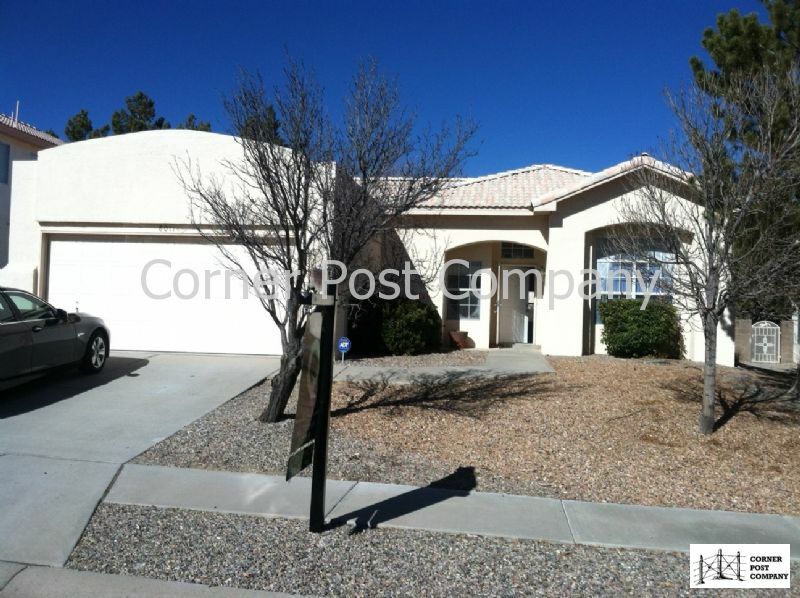 Located in a quiet subdivision near schools, parks and shopping. Close to I-40 for easy commute to work. Owner to pay 10% of water bill. Pets upon approval through our pet screening service with additional fees.